Can we promote physical activity at the population level? Despite the well-known health benefits of physical activity, physical inactivity remains highly prevalent globally. Effective population strategies to promote physical activity are needed to reduce the global burden of non-communicable diseases stemming from physical inactivity. But the question is: how do we effectively promote physical activity at the population level, such as in entire communities? 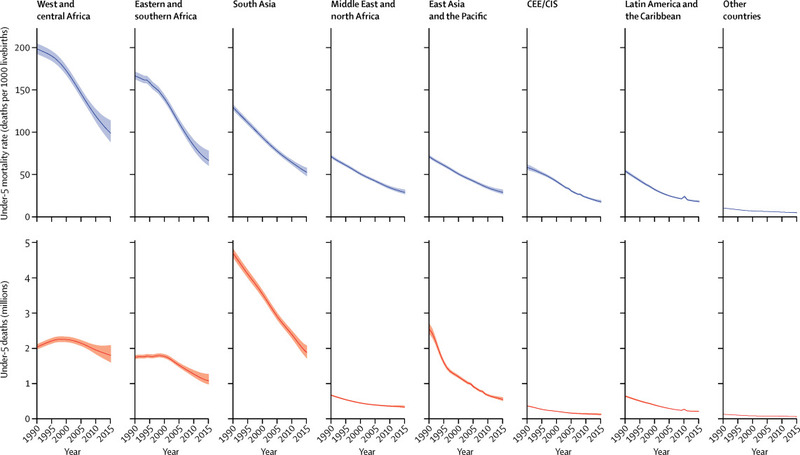 What has contributed to the reduction in mortality rate for children aged under 5 in sub-Saharan Africa? Reducing child mortality remains one of the key objectives of the Sustainable Development Goals. Remarkable progress has been made over the past 25 years, with the global number of deaths of children aged under 5 falling from 13 million in 1990 to six million in 2015. Yet little is known about the relative contributions of specific public health interventions and general improvements in socioeconomic status and educational attainment over the same period. Did you know that adults with chronic disease in the UK are markedly less active than their healthy peers? Is it time to establish breast cancer as a smoking-related cancer?